The sister gallery to Langgeng Gallery, one of the top galleries in Indonesia, Equator Art Projects aims to be a platform for art that is intelligent, sensuous, and 'of-this-moment', regardless the medium. 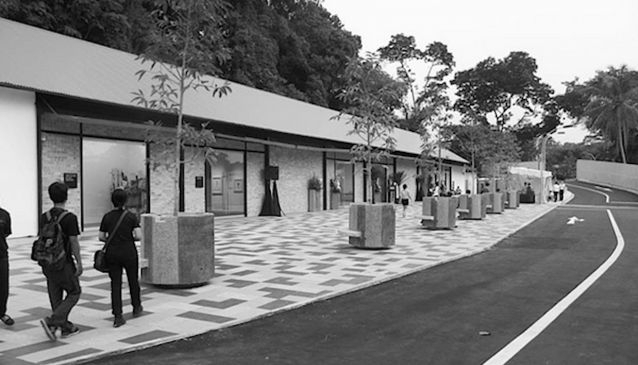 Situated in the Gillman Barracks cluster near to Hortpark, the gallery represents a core group of acclaimed Indonesian artists such as Agus Suwage, Arahmaiani, Arin Dwihartanto, Bambang 'Toko' Witjaksono, Filippo Sciascia, Indieguerillas, J. Ariadhitya Pramuhendra, S. Teddy D. and Uji Handoko Eko Saputro. Equator Art Projects also shows the works of regional artists from Singapore, China, and the Philippines, and the gallery seeks to contribute to the study of Southeast Asian art history through its dynamic programme of exhibitions, talks and publications.